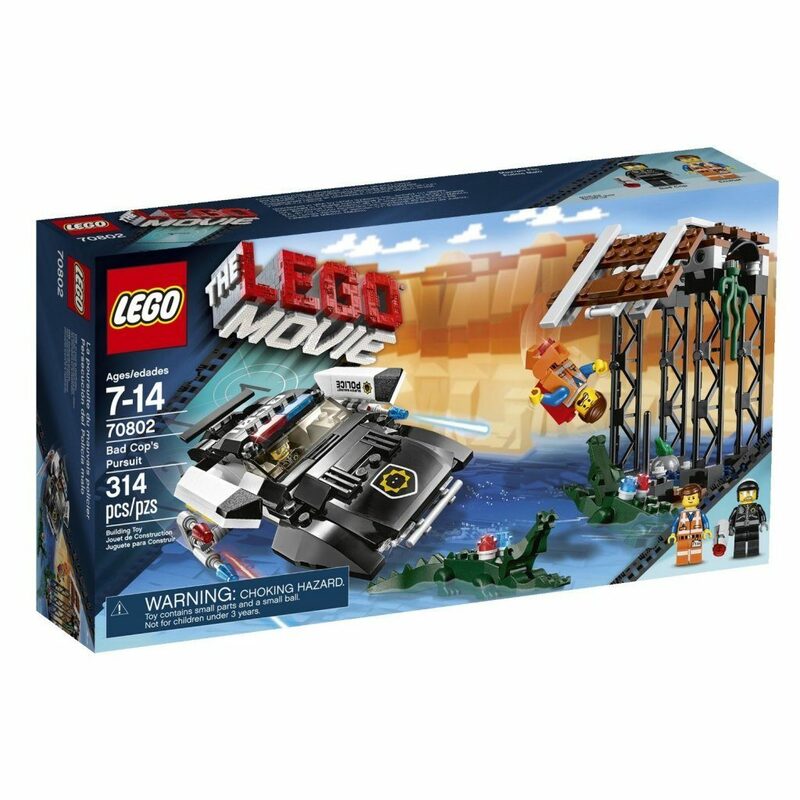 LEGO Movie Bad Cop's Pursuit LEGO Set $23.99 + FREE Shipping with Prime! You are here: Home / Great Deals / Amazon Deals / LEGO Movie Bad Cop’s Pursuit LEGO Set $23.99 + FREE Shipping with Prime! LEGO Movie Bad Cop’s Pursuit LEGO Set $23.99 + FREE Shipping with Prime! Head over to Amazon and get the LEGO Movie Bad Cop’s Pursuit LEGO Set for just $23.99! Shipping will be FREE with Amazon Prime or an order of $35 or more. Fire the ultra-cool new blaster! Collapse the train bridge and help Emmet grip onto the edge! Turn Bad Cop’s head to transform him into Good Cop!